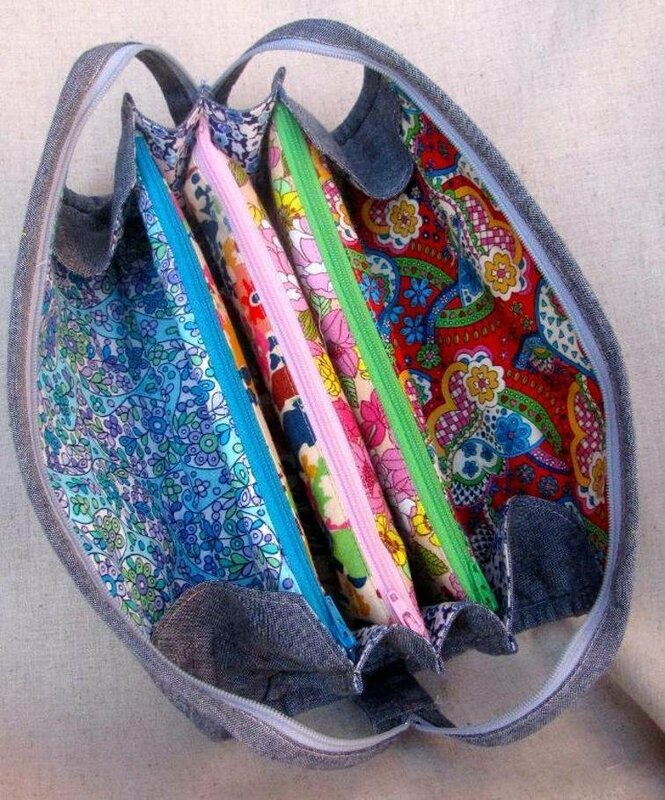 The Sew Together Bag is a niffty little bag with three zippered pockets, four open pockets, all held together by a zipper that forms two handles. This bag will easily hold your 8" scissors, rotary cutter, marking pencils, seam ripper, extra needles, thread, snippers, and much more. It will amaze you how much you can hold in this fun and compact bag.